PoPville » Friday Question of the Day – Should DC Buy the L Street Warehouse for a Market Concept? The hearing is being called to discuss “the costs to the taxpayer of underperforming or vacant Federal assets and, in particular, the status of the vacant GSA Warehouse located on L Street in southeast Washington, D.C.” The committee has invited representatives from the GSA, GAO, and Ward 6 Council to testify on possible uses of the warehouse. Councilmember Tommy Wells (Ward 6) and Ed Kaminski (ANC 6D02) have been invited to testify. 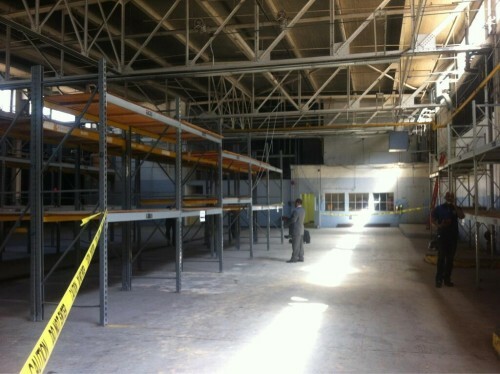 So what do you guys think – should DC buy the vacant L St, SE warehouse for $19 million and convert it into a new Market? If not, what do you think should become of the old warehouse?